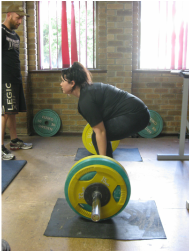 Late 2012 witnessed Sowilo powerlifting duo Kiera Stewart and Jessie Lee-Smith enter the record books. Jessie entered WA's prestigious state record group with a staggering 8 state records! 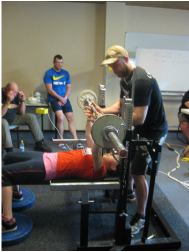 Kiera doing amazingly well also with 2 state records and an Australian High schools record in Bench press. These girls performed exceptionally well and should be very proud of there achievements!! Well done! 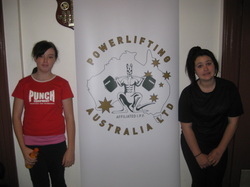 Our 2 champs, Kiera and Jessie, lifted well at the recent WA Open Power Lifting championships! 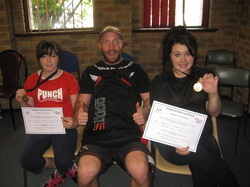 Both new to lifting, Kiera and Jessie experienced nerves and feelings of success never felt before! Well done !! 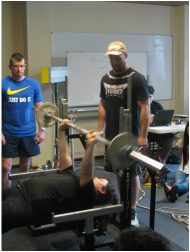 The WA branch of Power lifting Australia was a great help in assisting our students with technique and support before, during and after their competition. A big thanks to Paul the organiser. 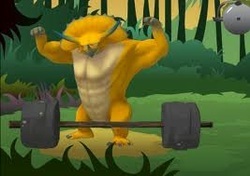 Kiera here shows her bench style successfully benching 30kg! There are 3 commands with a power lift in bench: Rack, lift, and press. 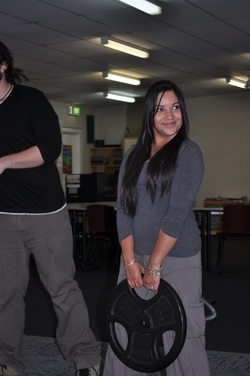 Kiera shows here the hardest part......Press! Jess shows the start to a bench lift here just seconds after it being taken off the rack. Jess here shows good technique as she prepares her hands and legs before her personal best lift of 105kg's (15kg's from an Australian record) Jess will be a solid national competitor over the next few months-years! 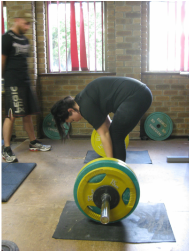 Jessie here shows the concentration of a good lifter, seconds before execution of a great lift! 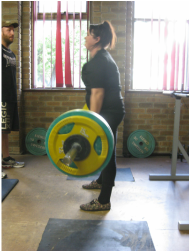 105kg's a new Personal best for Jess. One tough Sowilian! 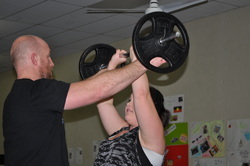 Jess doing some shoulder presses......Strongest student in the school I reckon! Elle wanted to get a little stronger and started our weights program but has since opted out due to a love interest with her doona and dvd player.